Gin Rummy is the most widely played of all the Rummy family of games. It's the classic card game that leaves much room for Gin Rummy strategy to be employed to become a consistant player that plays strongly. The following strategy guide tips for Gin Rummy can be seen as the basic strategy concepts that should be used to cover any players game and which highlight the use of skill when playing Gin Rummy to achieve better results. 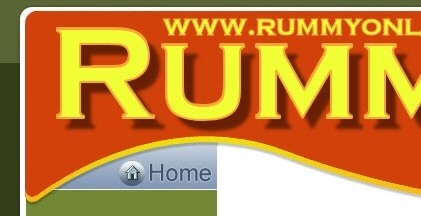 The details, below, should strengthen a new players game and give them the resolve to play better rummy generally. Gin Rummy uses a standard 52 card deck. This alone puts the game into perspective and remembering this will improve a players chances and remind them of what they need to pay attention to. First, since only 52 cards are being used, which are all different, you cannot pick up a card that has been put into the discard pile unless it is your turn to act and the card is showing at the top of the discard pile. In the round you are playing, the required card is not likely to become available to you again so remembering what cards have been discarded and which may still be available for you to meld hands with is very important. You'll need to tailor your Gin Rummy strategy play as the round progresses to cater for any cards which may have been useful but which have been discarded. In addition, a round deal usually uses over half of the available cards so at the beginning it may well be wise to discard any high value cards if you think that they'll not be of much use when producing sets or runs. This will decrease your deadwood count at the end of the round should you lose. The opposite of this is also true. Many of your opponents will also do the same and you can use this opportunity, if it arises, to form melds easily out of discarded high value cards. It's a balancing act but one which if used successfully can pay dividends. Generally when it's your turn to draw a card, it is best to take from the stock pile rather than from the discard pile. This makes it much more difficult for your opponents to know what cards your are holding in your hand. Remember that the other players cannot see what cards you lift from the stock pile but the discard pile is face up and everyone can see where these cards are going if they are indeed used. The exception to this may be if a card on the discard pile is really required to complete a set or run of cards, especially if they are going to be laid down straight away. You must pay attention to cards that your opponents are drawing from the stock pile, try to work out what hands they are making and then avoid laying cards into the discard pile that may help them meld their hand. In a multi-round game of Gin, knocking early can pay off more that waiting for Gin, in the long run and can catch your opponents off guard. Knock early to avoid the risk of undercut. When forming melds it is more advantageous to hit 4 card sets rather than runs. This prevents the other players laying off matching cards at the end of the round. When it comes to games where points are not accumulated after the completion of each round, it is best to go for Gin rather than Knock. Study and think about these Gin Rummy Strategy tips when you download and play Gin Rummy, they will help your game become more complete and you should play much better.